If you’re anything like us here at HCX, you’ll already be planning your outfit for EGB - the best event to celebrate the end of another amazing year in Exeter! We love any occasion to dress up, and EGB is the perfect opportunity to wear something fun. We’ve been doing some online shopping (anything to avoid revision...) and picked out our favourite pieces that will make you feel fabulous at the event. And if you’re not going to EGB, these outfits are still perfect for any summer ball! A cute, pretty dress screams summer and is a super fun and girly way to dress up for EGB. 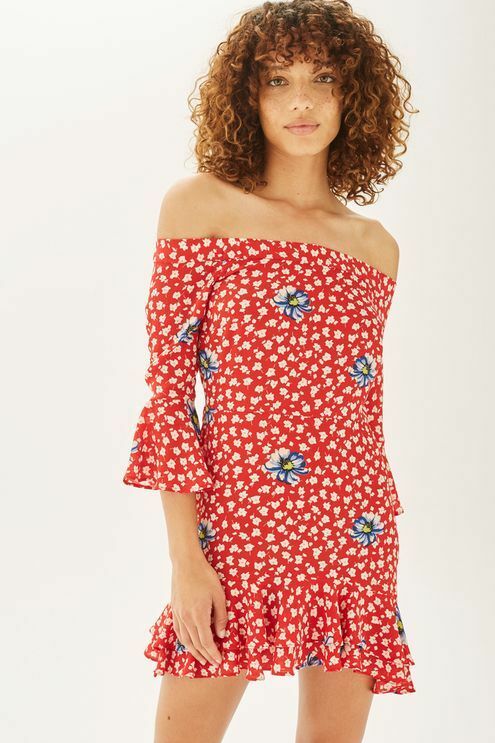 We love this floral, bardot style dress from Topshop as it's on-trend, colourful and comfortable. One of the best things about EGB is the fairground rides, and the last thing you want to worry about is flashing the world whilst climbing on/off the rides and being swung 50 feet in the air. A playsuit is equally as cute and summery as a dress, but is definitely more practical for having fun. This one from Zara is perfect. The grown-up big sister of the playsuit, a chic jumpsuit is sure to turn heads. We love this metallic jumpsuit from Missguided for an effortless yet sophisticated look. A floaty maxi dress is the ultimate in boho-chic. We adore this one from ASOS. It's a risky move to wear heels to EGB as no one wants to end up with their heels getting stuck in the grass, or the mud if it rains! Sandals with a very slight heel are perfect, such as these from New Look. Hopefully this has given you some inspiration for your dream EGB outfit, and we can't wait to see what you all end up wearing! I'm Sarah, and I'm the current Fashion and Beauty Editor at Her Campus Exeter. I have dreamed of working for a fashion magazine since I was a little girl, and am now in my third year at Exeter studying English. I'm a self-confessed shopaholic and a lover of brunch, chocolate cake and the seaside.